“HIS WEREN’T CANVASES to be framed,” curator and historian Mark Rosenthal says about the renowned French artist Jean Dubuffet, whose early work in painting and sculpture is the focus of a new show at Acquavella Galleries, opening today. Indeed Dubuffet, who, alongside artists like Alberto Giacometti and Francis Bacon, is often associated with the generation of Europeans who emerged in and around World War II, made work that refused to bend to convention—it’s an attitude that also shaped Dubuffet’s life. Later, his resistance to the traditional led Dubuffet to champion outsider art— which he coined art brut (“raw art”)—in the form of a collection of art works by African artists as well as those suffering from mental illness. Of course, as Rosenthal is quick to point out, these subjects weren’t unknown—Picasso was interested in African art as far back as the turn of the century, as was Paul Klee—but it’s undeniable that Dubuffet certainly furthered the idea that such art was as legitimate as that by European traditionalists. 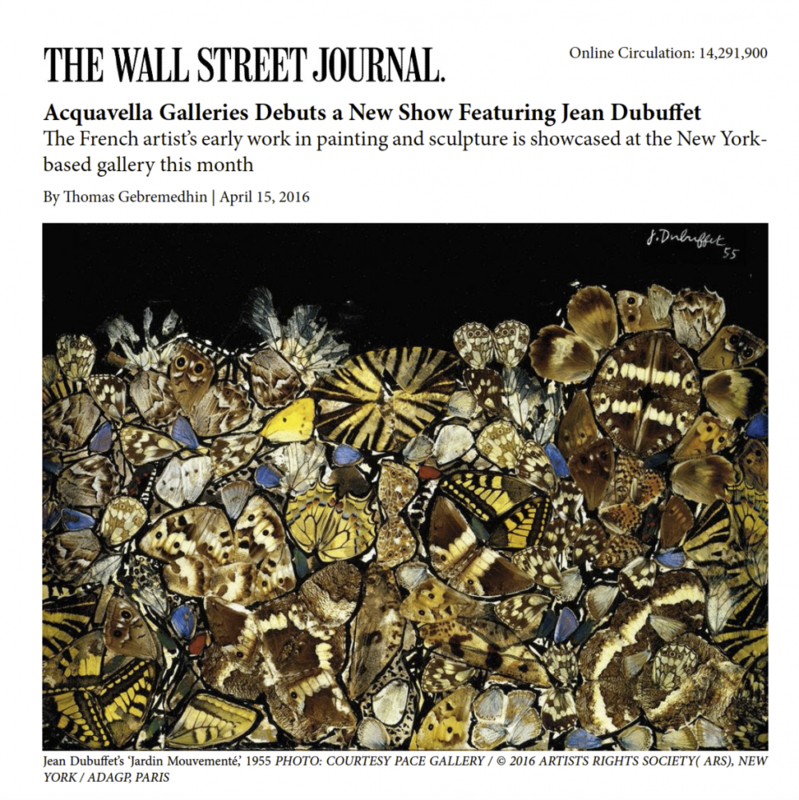 Jean Dubuffet: Anticultural Positions is on view at Aquavella Galleries in New York City through June.